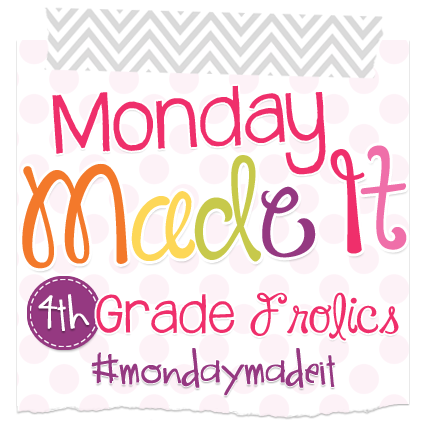 I'm linking up with 4th Grade Frolics for Monday Made It. Given my Classroom Transformation and the craft room in my basement, this is perfect for me. 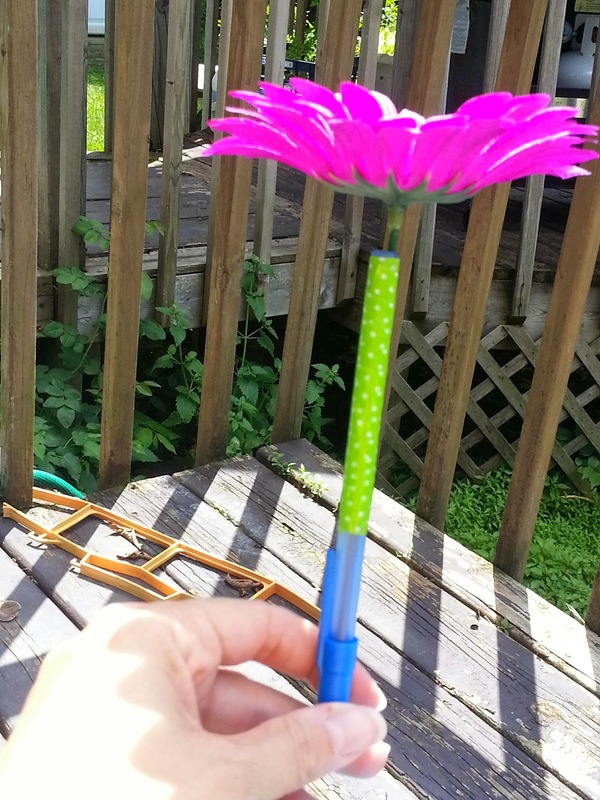 My first made it is flower pens for my classroom to match my new decor. Each of my girls (Potumus and Shmurts) have done these for me for mother's day; I still have both the terracotta pots at school to put the pens in on my desk. My mom also made some of these two years ago for my cousin's baby shower, and I brought some of the leftovers to school. My students (well, maybe not the high school boys) love using them, and my bonus is I get them back at the end of class. First, I collected my supplies. I did this on my deck because the girls were swimming, and it was a gorgeous day. 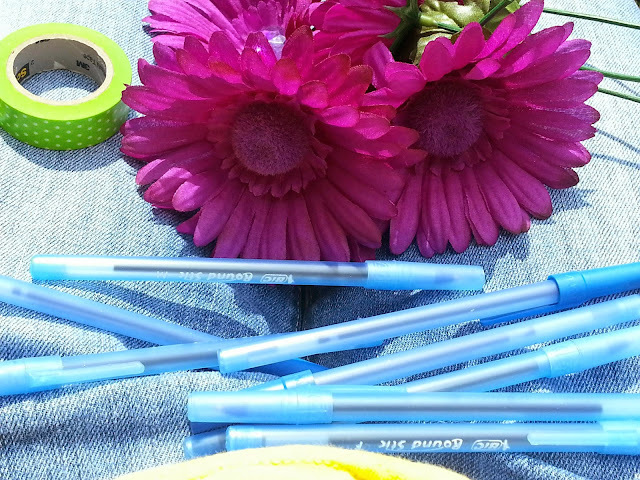 I grabbed blue pens with caps. I like blue because it stands out more than black, and caps are awesome to keep leakage to a minimum. I found these awesome flowers (they are purple and not pink, but the pictures made them pink) at the dollar store in town. They were an arrangement on clearance from Memorial Day. Some of them have jeweled centers. 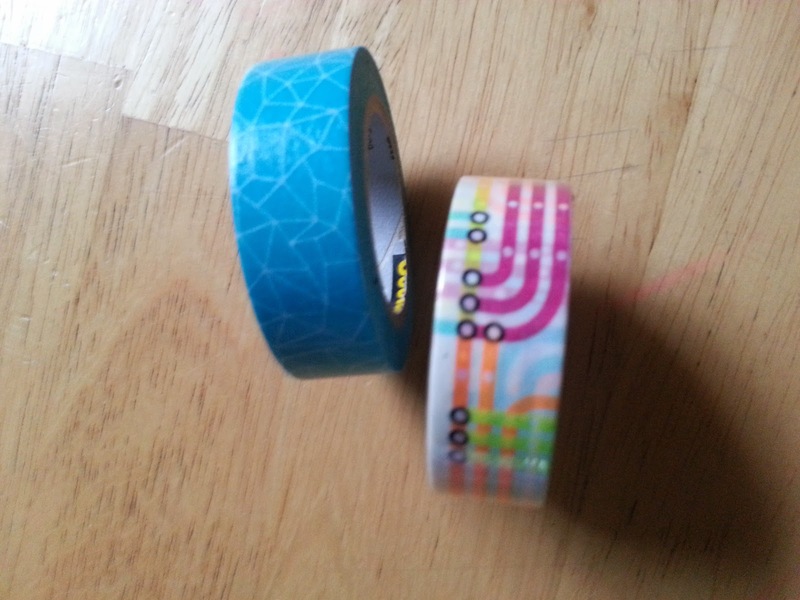 My mom and the girls used florist tape, but I recently discovered Washi tape, and found some in lime (my other Classroom Transformation color) and decided to use that instead. 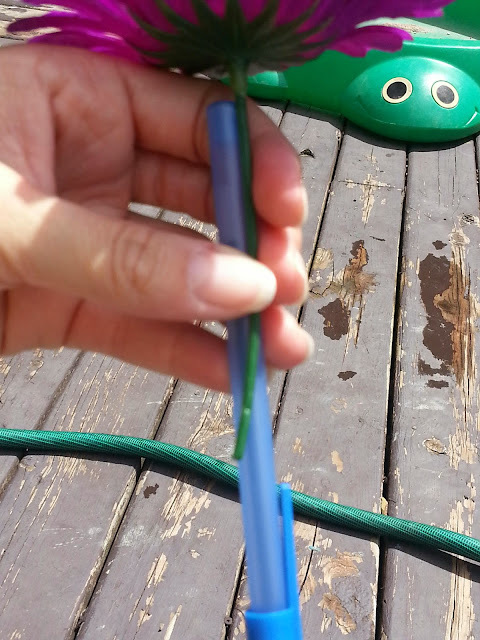 I used hubby's wire cutters to cut the flowers apart and trim the stems to 2-3 inches. Then I lined the base of the flower up with the back end of the pen. 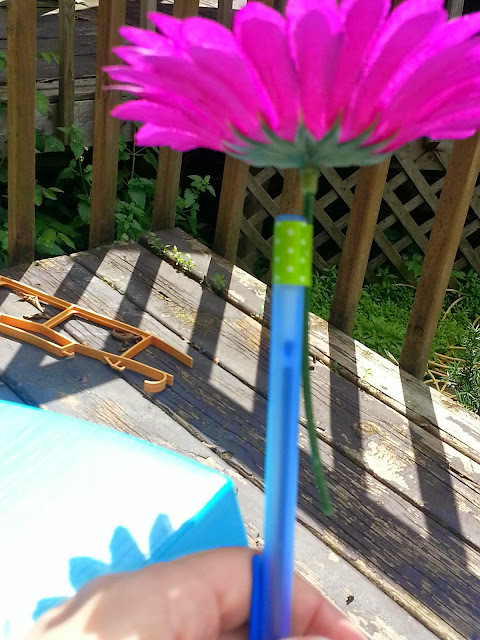 I used a two inch piece of Washi tape to secure the flower to the end of the pen. This prevents slipping while you wrap it the rest of the way. Place the end of your tape roll diagonally on the piece you already placed on the top and wrap it all the way down on a diagonal until you cover the bottom of the wire. This can be a little tricky because you have to get it at a diagonal while covering the pen and the wire...practice makes perfect. 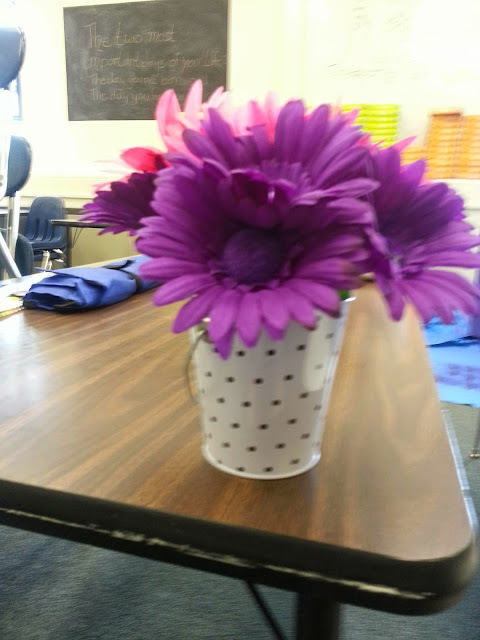 Here is the finished project (the fake light of my classroom made the flowers actually look purple...go figure) in one of my new buckets because I haven't brought my girls' flower pots out of storage yet. 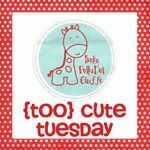 Sorry it is a little blurry.